While some fruits are being warned against for their high sugar levels there is one fruit that is being talked about for all the good reasons. Avocado is a very nutrition dense fruit that is also very beneficial from a saturated fats perspective. People have suddenly stated raving about this fruit or to be precise a berry that it is included in almost every meal plan. 1. High Protein: This is one of the rarest fruit with such a high protein content. Almost about 4 gm of protein per fruit for your body to add on unlike the huge amounts of sugars other fruits provide. According to a leading American daily avocado although may not contain all essential amino acids but contains 18 in total which makes it a good source of protein. 2. More Potassium: An avocado contains more potassium than even a banana. This makes it even more favourable as the banana is also has a lot of sugar which makes avocado a better choice. 3. Reduced triglycerides and cholesterol levels: Studies have shown to reduce total cholesterol levels significantly. Also reduced blood triglycerides levels by upto 20%. They are also shown to reduce LDL which is the bad cholesterol and increase HDL thereby maintaining a good cholesterol level. 4. 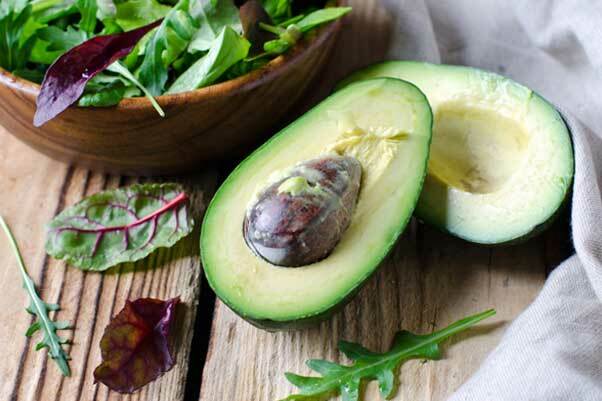 Cancer prevention: Although the research studies are very new Avocado extract has also been shown to inhibit the growth of prostate cancer cells. 5. Delicious: Avocados are not only healthy but also very delicious which is also one of the major reasons why it is so widely accepted. 6. Antioxidants: Avocados help better absorb antioxidants from other foods but also contain a lot of antioxidants themselves. The nutrient also includes Lutein and Zeaxanthin which are important for eye health.